Prototype: German State Railroad (DR) diesel locomotive, road number 132 372-4, C-C wheel arrangement, built starting in 1974 in the Soviet Union for the German State Railroad, nicknamed "Ludmilla". Use: Heavy passenger and freight trains. 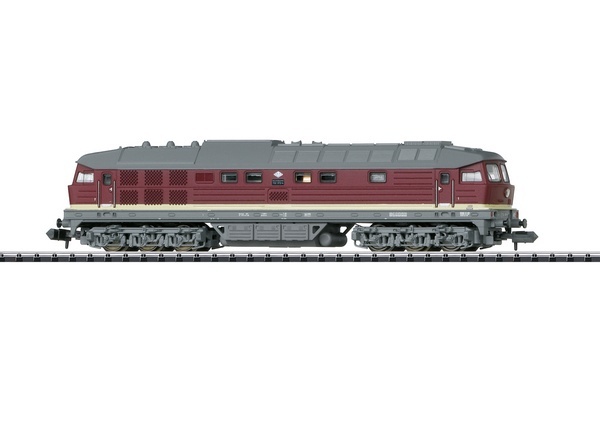 Model: The locomotive has a built-in digital decoder and sound generator for DCC and Selectrix operation. It also has a motor with a flywheel. 4 axles powered. Traction tires. The triple headlights change over with the direction of travel. Length over the buffers 126 mm / 4-15/16".